A preliminary health risk assessment of 25 chemical pollutants was conducted and corresponding risk control measures were proposed. Evaluation results showed that the mean health risk caused by groundwater consumption was 6.343 × 10−5, with 69.9% of the sampling location exceeding the most stringent international standard (10−6). Health risk owing to inorganic pollutants (5.233 × 10−6) was greater than those owing to trace organic pollutants (2.725 × 10−7). The highest risk value due to chemical carcinogenic pollutants was primarily caused by arsenic, while the greatest health risk due to non-carcinogenic pollutants was caused by fluoride. 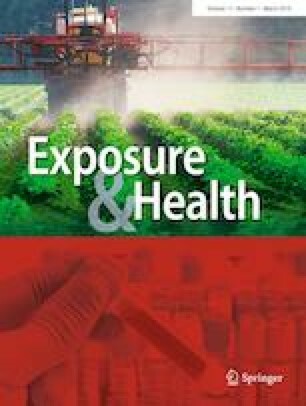 The mean health risk due to chemical carcinogens (6.585 × 10−5) was 2 magnitudes larger than that caused by non-carcinogenic pollutants (4.858 × 10−7), which indicated that carcinogenic risk was the primary health risk in the drinking groundwater. As the major contaminant causing health risk, high-arsenic groundwater is mainly observed in the riparian areas near the Yellow River and the front-edge areas of alluvial plains. The arsenic content is high and unstable in shallow groundwater, but low and stable in deep groundwater which indicates that high-arsenic groundwater can be controlled by improving well completion and sealing off shallow groundwater. Furthermore, the pumping quantity of deep groundwater must be optimised to prevent the intrusion of shallow high-arsenic groundwater while strengthening the management of pollution sources and improving groundwater quality monitoring and warning. We thank the China Geological Survey (Grant No. 1212011220982) and the National Natural Science Foundation of China (Grant No. 41302188) for financial support. We are also grateful to everyone in the Groundwater Pollution Investigation and Evaluation project team. Our appreciation also goes to Wang Hui and Liu Huimin from the Ningxia Land & Resources Survey and Monitoring Institution who helped us collect the dynamic monitoring data.